Incredible performance by Memphis Depay in Hollands first important match of 2019, two assists and two goals against Belarus at Stadion Feijenoord. 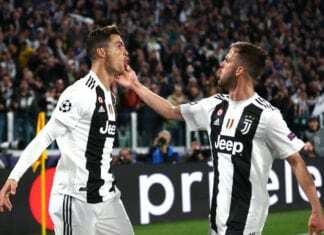 The UEFA European Championship Qualifiers kicked-off this Wednesday with a total of 10 matches throughout the continent, one of the most interesting ones was the game between Holland and Belarus at Stadion Feijenoord. The main attraction of this first night of activity was Olympique Lyonnais’s forward Memphis Depay, who has become the sharp end of the spear within one of the most talented national teams in the world at the moment. There are countless great players from this brand new generation of Dutchmen to choose from, Memphis is just one more of an incredibly talented bunch and today they proved that they are one of the most powerful squads in the European Championship qualification. Memphis started this magical night with a solo goal on the very first minute of the match, he was able to take advantage of a mistake by the Belarus goalkeeper and managed to score the first goal of the evening that gave Ronald Koeman’s squad the opportunity to control the rest of the match. Depay’s performance was going to be even greater than this, a fantastic night was just beginning for him and the whole country was watching his talent. 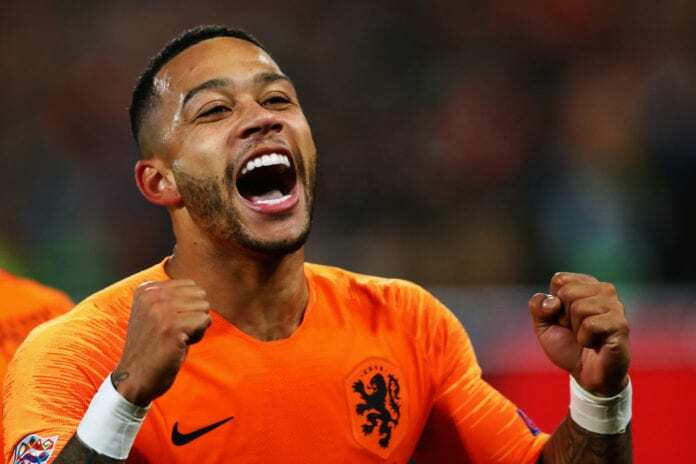 It took Memphis another twenty minutes to leave his impression in the game once again, this time he served Georginio Wijnaldum a beautiful backheel assist for the Liverpool midfielder to score Holland’s second goal of the evening. Depay makes difficult things look easy from the screen, it’s almost as if he wasn’t even breaking a sweat. This 2-0 result continued until the second half despite Holland being almost completely dominant throughout the whole first half, there were several moments in which the Dutch could’ve scored that third goal but they were unlucky in front of goal. The squad was brilliantly represented by one of the most complete midfield lines in European football, Wijnaldum was only one of the several great players who carry the squad with their creativity. Frenkie de Jong is another one of those very impressive talents who get to show their skills in every chance they get, but the whole squad is a complete demonstration of dominance. The backline is also quite impressive, with both Virgil van Dijk and Matthijs de Ligt offering the best version of themselves throughout the whole 90 minutes against Belarus. Let's take a trip down memory lane and remember arguably the greatest goalkeepers in the history of the Premier League - Peter Schmeichel. Already in the second half, Memphis proved that he wanted to be the standout player of the match. Ten minutes in, Wijnaldum was taken down inside the box and a penalty was awarded for Holland with Memphis claiming the ball for himself. The Olympique Lyonnais stepped up to take the shot and completely fooled the Belarus goalkeeper, it was already 3-0 and the locals had completely decided this game with practically no opposition. Memphis was still going to give us one final demonstration of his talents, it was going to come during the final minutes of the match. He took a ball on the right wing and moved forward with only one marker on him, he took a shot that was blocked at first and he sent a clinical cross on his second attempt that Virgil van Dijk found with his head. The Liverpool defender closed a great defensive performance with another one of his potent headers, but the whole credit was Depay’s this evening. Holland began the activity Group C with a bang, they will certainly become one of the biggest contenders for this whole process and one of the most powerful squads in European football today. What did you think about Holland’s performance this evening against Belarus? Please share your opinion in the comment section down below. Quiz – How well do you know Netherlands vs Germany?